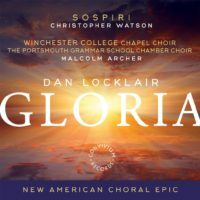 Here is something new – American choral music recorded by English choirs. Dan Locklair is a prominent composer who has written numerous works for nearly every medium: orchestral, chamber, instrumental, dramatic, choral, piano and organ. This is a selection of his sacred choral pieces, both a capella and accompanied, with the large-scale Gloria for choir, brass and percussion as the centerpiece of the program. Founded in 1935, American Record Guide is America’s oldest classical music review magazine. In 1992 it absorbed the editorial side of Musical America, so it also covers important concerts, orchestras, and musicians on the American scene. We cover only classical music. There are up to 500 reviews in every issue, written by a freelance staff of over 80 writers and music critics. Many issues have an “Overview”, an extensive survey of recordings of one composer or one area of the repertoire, such as “Guitar Music”. “Independence” is a guiding principle: in an industry dominated by advertising, ARG remains free of advertiser influence, which results in few ads and no puff pieces for record labels or artists.